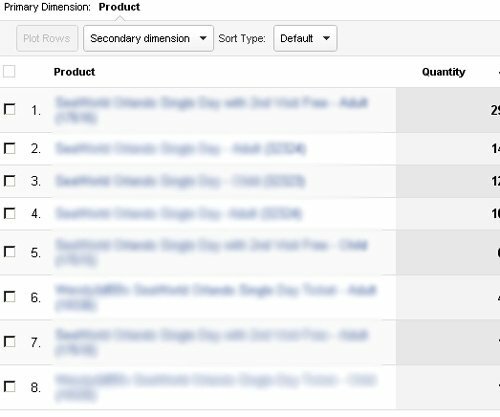 Get to know the 5 data drill downs which can help you immensely in optimizing your marketing campaigns, products and eventually sales. Majority of us optimize search marketing campaigns for e-commerce websites. Therefore it is very important that whatever we do to optimize these campaigns must directly result in increase in sales of the products. In order to get optimum results from your analytics efforts you need a third eye, the eye which provides perception beyond ordinary sight. 1. 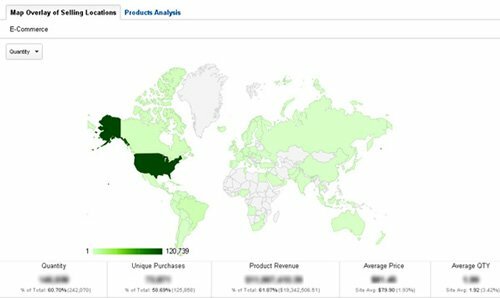 The geo locations which are generating maximum Product revenue. So that we can direct our marketing efforts towards them via SEO, PPC and other marketing campaigns. 2. All the products categories which are being bought in a particular geo location. 4. All the keywords which are responsible for selling a particular product. These valuable insights can help you in getting optimum results from your search marketing campaigns. The traditional way of getting of all this insight is not easy. You need to create lot of advanced segments and combine data from several reports. Today I will tell you how to get all of this insight just through one report. This report quickly highlights all of the selling locations worldwide (i.e. the locations where my products are being bought). This report quickly highlights all of the selling locations in US. 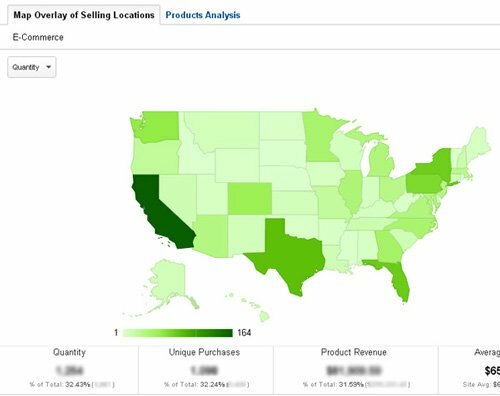 From the report we can see that maximum numbers of products are being bought in California (dark green color). This report quickly highlights all of the selling locations in California. 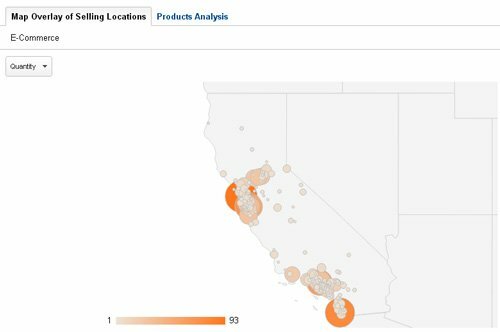 From the report we can see that maximum numbers of products are being bought in the cities of San Francisco and San Diego. 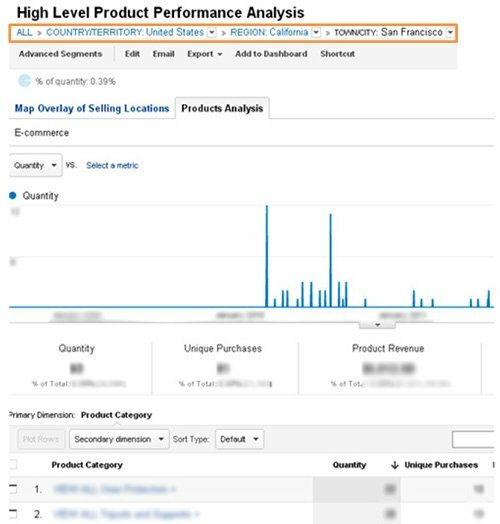 You can now see all the product categories being bought in San Francisco. Now I want to know which products are being bought in a particular product category say 1st product category. So we will just click on the 1st link in the ‘product category’ column. 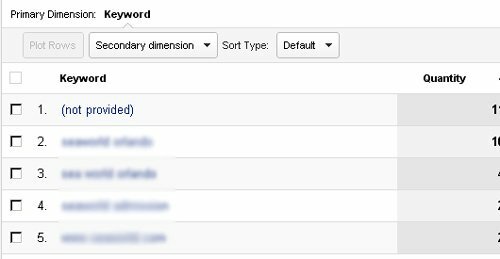 Now you can see all the keywords (including the infamous ‘not provided’) which are responsible for selling your product. Now I know which landing pages I need to focus on. This can be a life saver if you have say 500k pages on your website and you are struggling to figure out what to optimize and where to start. You won’t get such level of in depth insight in any regular report in Google Analytics. The report that you are seeing is a custom report built by me after a lot of thought and planning. 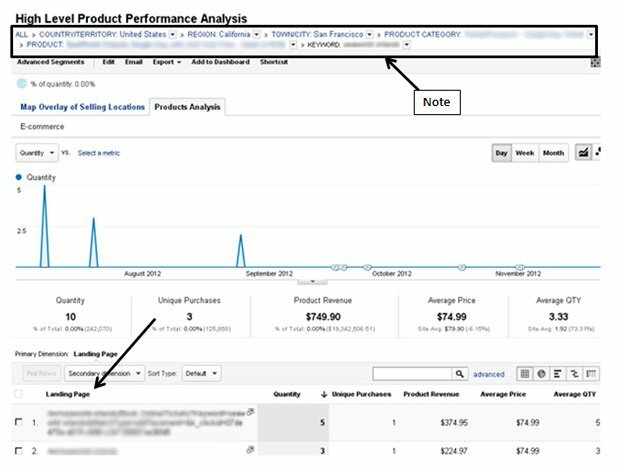 This report only shows product performance for search traffic (SEO and PPC). If you have different needs than you can edit the report and remove/edit filters. You can install this report straight into your Google Analytics account from here.